Calling for an Advocacy Blitz: Let’s Pass S. 1356! 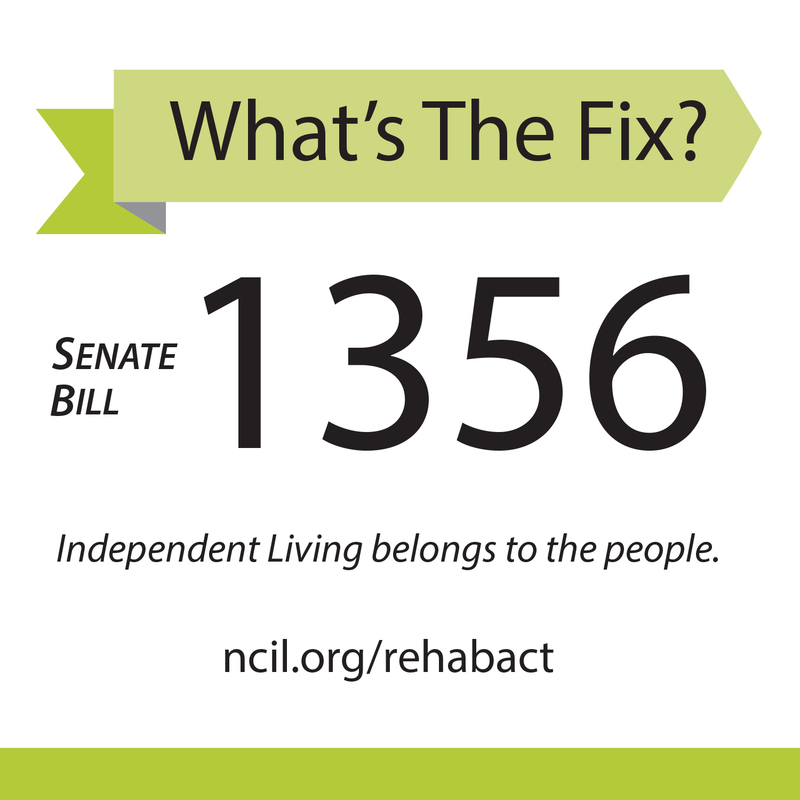 You are here: Home / Independent Living & The Rehabilitation Act / Calling for an Advocacy Blitz: Let’s Pass S. 1356! Have you ever looked at the accomplishments of Justin Dart, Fred Fay, Michael Winter, and the many others who chained their wheelchairs to buses for accessible transportation and crawled up the stairs of the Capitol for the ADA and wished you had been a part of that movement? The Blitz to Pass S. 1356 is your chance to join the efforts of countless people who created change in the past and continue to ensure that the laws of this land are equal and accessible for all. Congress is on recess August 5 – September 6. Make plans now to meet with your Senators during the town hall meetings they will hold this month. Let them know that passage of S. 1356 is important to you as a voter and that it should also be important to them. The Fix is 1356! Review the newly developed S. 1356 Talking Points (PDF or plain text) and use them to advocate for reauthorization of the Workforce Investment Act (WIA) and its contained Rehabilitation Act. Reviewing the Talking Points will help you be prepared to discuss why reauthorization of bi-partisan WIA bill is important to you, your SILC, and the CILs in your state. Check with your Senator’s local office and talk with staff members about the best way to present your issue to your Senator. Senators have traditionally used the August recess to hold town hall meetings in their state. Participate in these meetings and urge them to support S. 1356. Talk with your NCIL State Coordinator and / or Regional Representative to find out what Senators in your state may have said during the NCIL conference. Also, be sure to update them about your Senators after your meetings. Participate in NCILs conference call to learn more about S. 1356. More details will be released soon! To make the dream live.